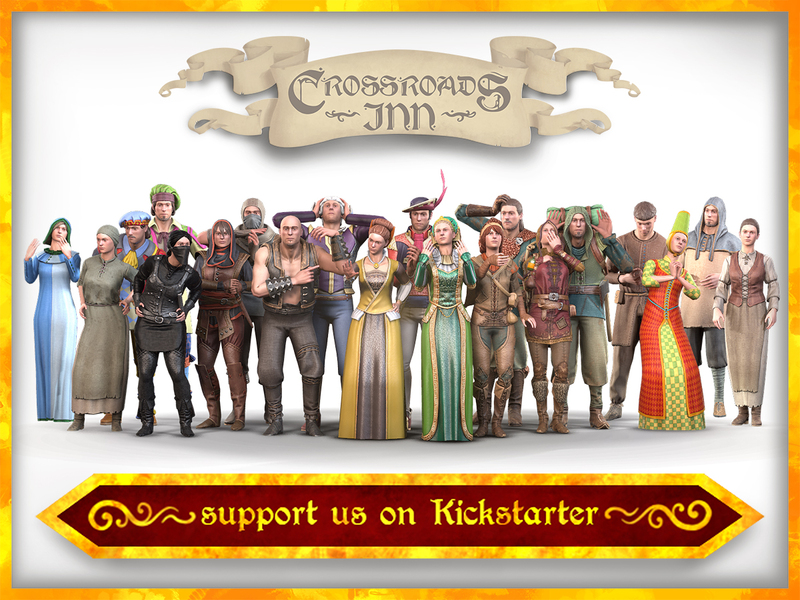 Crossroads Inn debuts on Kickstarter! That’s why Crossroads Inn combines two most popular genres – management sim and RPG. Thanks to this unique blend, it goes beyond the scheme known from the typical simulator games, thus refreshing the somewhat rusty genre. Our goal is to raise $30k dollars, which will allow us to broaden the game content, but above all reach as many future players as possible. Those additional funds will allow us to expand the game itself and add elements such as: animated cut-scenes, more complex music layer including minstrels ballads and a world-class lectors to dub key in game characters to increase level of immersion and build a uniqueness of our game. We have already invested a lot of funds and time in the game and still we are going to give it more but for some of the features we would need community extra help. Sink or swim – in order to receive the money, we have to collect the entire amount. That’s why the key to the collection is the first 48 hours and momentum that will allow us to reach the finish line happily. For this to happen, we need your support, which will give this first kick. That’s why it would mean a world for us if you decide to back us or spread the word on your social media channels and encourage your family and friends to support our fundraising. In return, we offer really cool gifts – among others, if you hurry up, you can buy the game for a price way lower than on the release day! Thanks for supporting us and we promise to deliver a game you’ll be really proud of!